Memorial services are being held today in UK and the US to mark the 25th anniversary of the Lockerbie bombing in which 270 people died. Exactly 25 years ago, on 21 December 1988, transatlantic flight Pan Am Flight 103 from London to New York City was destroyed by a terrorist bomb that killed all 243 passengers and 16 crew on board. A further 11 people were killed on the ground when part of the blown jet landed on houses in Lockerbie starting fires and devastation. Today, services are being held at a number of venues in the town of Lockerbie , in London, and near Washington DC. In London a remembrance service is being staged at Westminster Abbey, while a ceremony will take place at the memorial cairn in Arlington National Cemetery, near Washington DC. 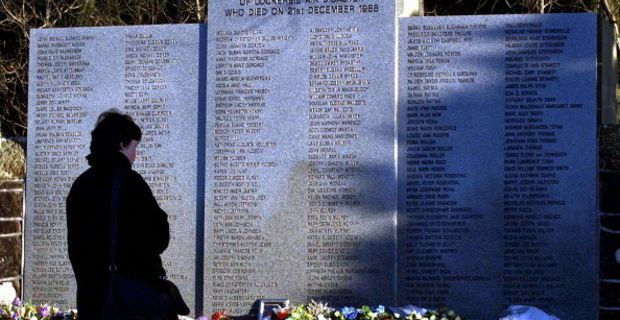 But it is in town in the south of Scotland that a wreath-laying and church service will be held to remember and honour the 270 victims of what is considered the the worst ever terrorist attack in Britain. The memorial in Lockerbie is expected to be particularly moving, as Canon Patrick Keegans explains: "Other anniversaries have been calmer. This one makes us remember the devastation and horror that all of us experienced 25 years ago"
The worst thing about the Pan Am Flight 103 tragedy though is that the truth about what happened so far failed to emerge. Despite a Libyan man, Abdel Baset al-Megrahi, being convicted of the bombing in 2001 by a Scottish court, families of the victims and of the alleged terrorist alike are not convinced that the true story has yet been revealed. Many of the British relatives indeed believe al-Megrahi was innocent and that those responsible for the bombing have still not been found.